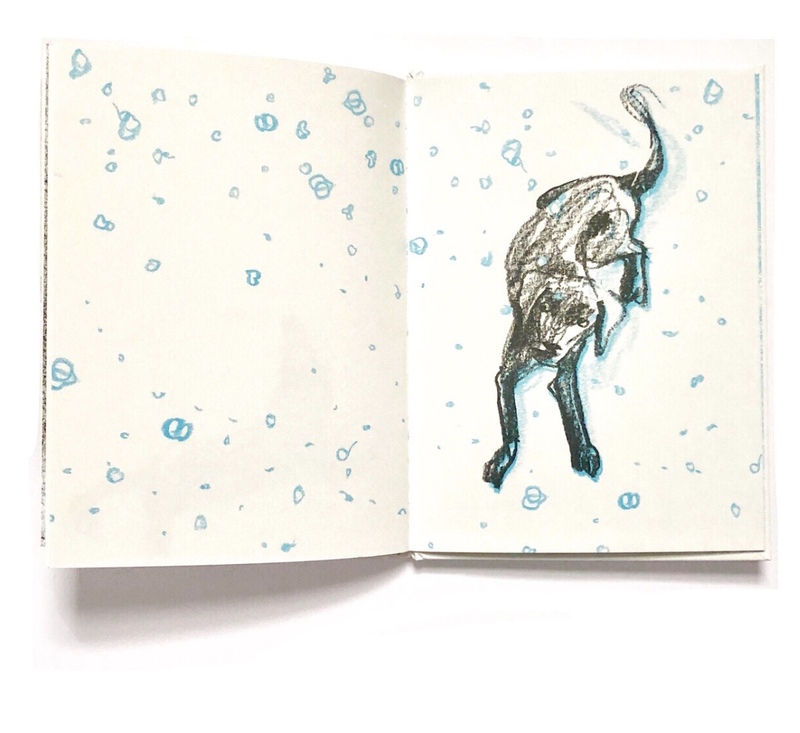 I am always amazed by the magic that Suzy Lee manages to create with just a black and a blue crayons. River. 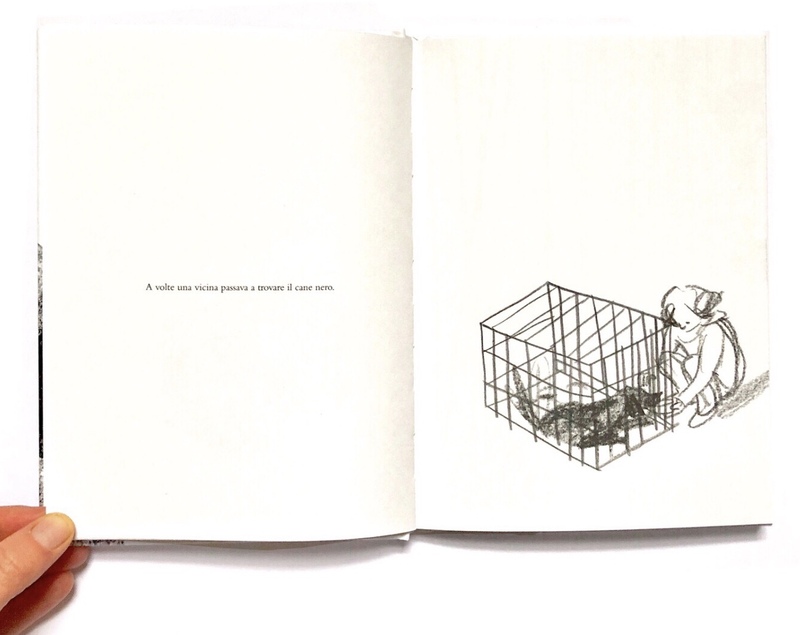 The black dog is her latest book published by Corraini, and it's one of the treasures that I found yesterday in Bologna. 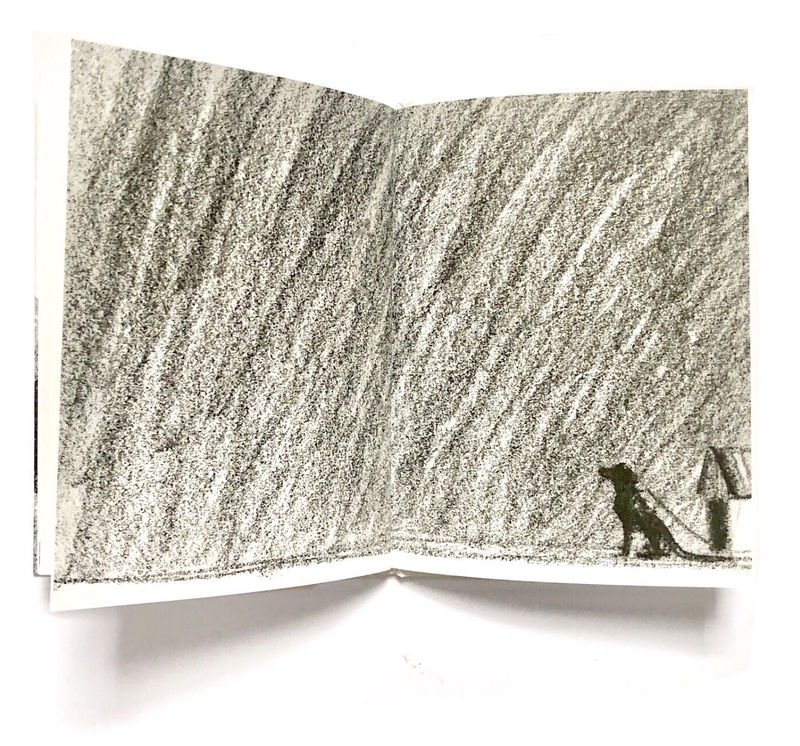 The book tells the true story of a black dog that Lee and her children Mountain and Sea rescued from the inhumane conditions that he was kept in by the previous owner. 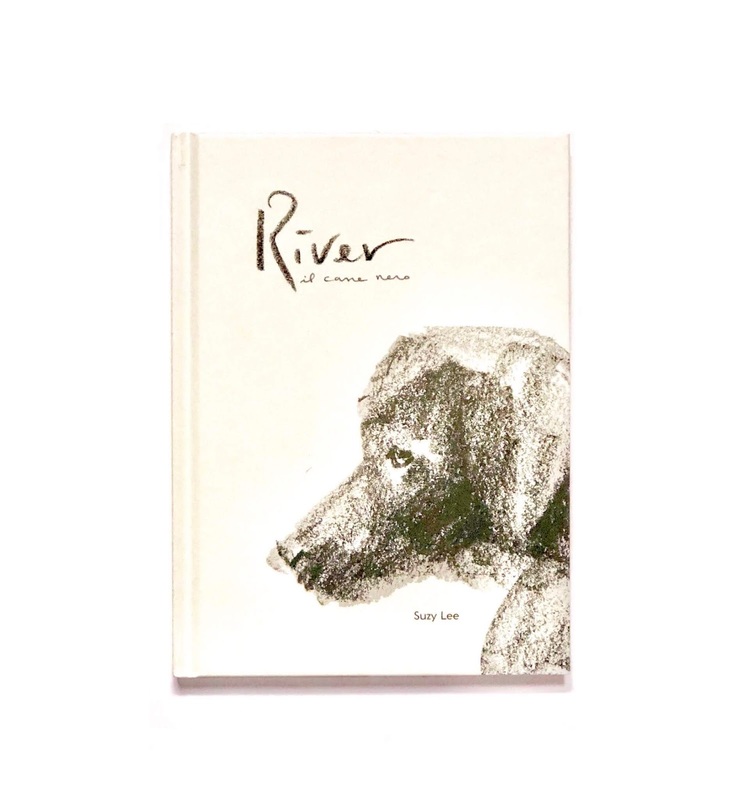 River becomes a much loved life companion for the children at their grandparents house, and since we see the story through River's eyes, we know that the children become everything for him too. 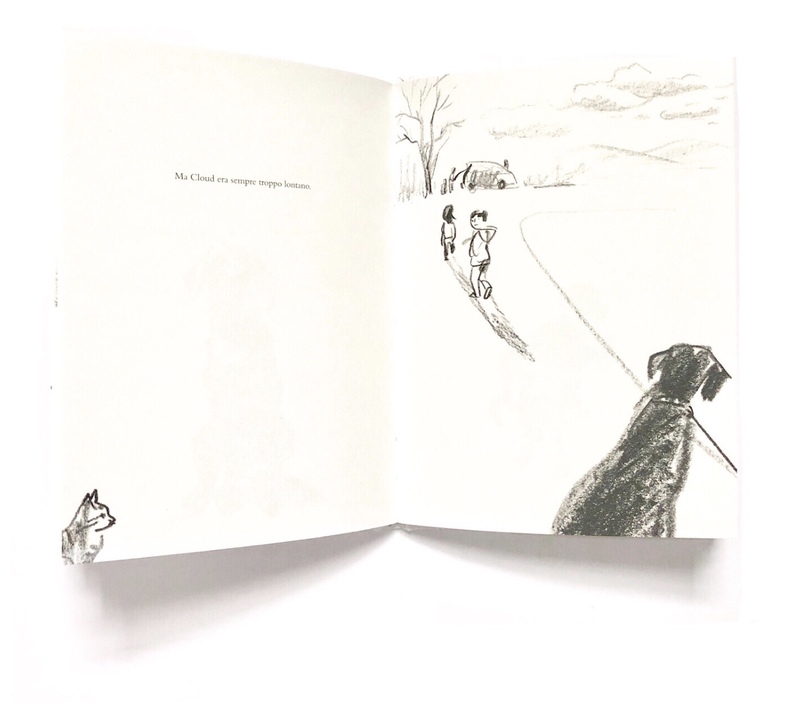 We follow them playing, cuddling, running in the snow, until the day the children have to leave. River is not in a cage, he is not hungry and thirsty anymore, but he is sad again, and he does what dogs usually do, he waits. 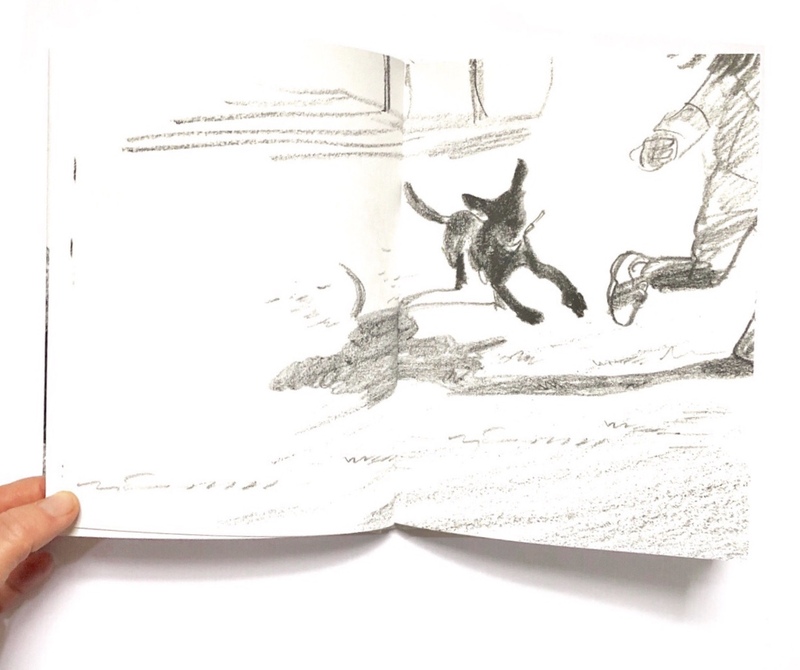 The intense final double-page spreads where we see River waiting for the kids to come back are almost empty, yet so filled with nostalgia and powerful in how they evoke the greatness of dogs' love towards humans. 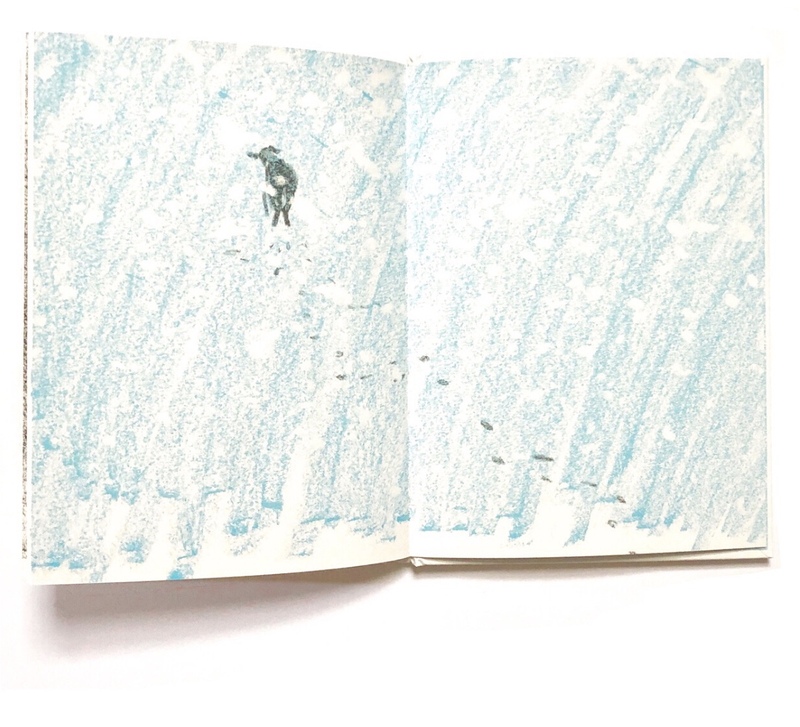 We continue reading holding our breath and praying for a happy ending while colour slowly appears to to reassure us that River will be fine. 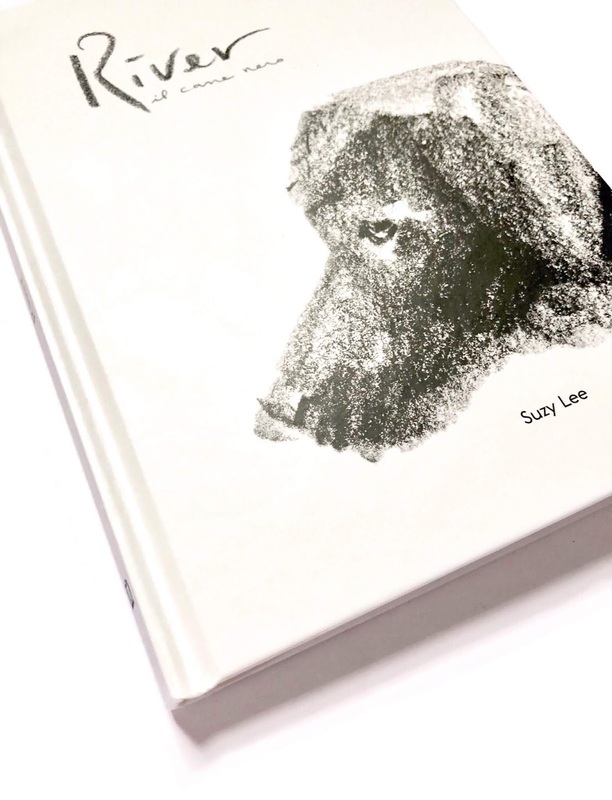 Like in the trilogy of the limit, also published by Corraini (which includes Wave, Shadow and Mirror) master storyteller Suzy Lee leaves plenty of space to the reader asking him to cooperate in the construction of meaning, and colour arrives as a surprise to mark a turning point in the story and a change in the characters' emotional status. As opposed to the previous titles this one combines black&white illustrations with a very limited amount of text, which is there to offer a clearer reference to real facts. 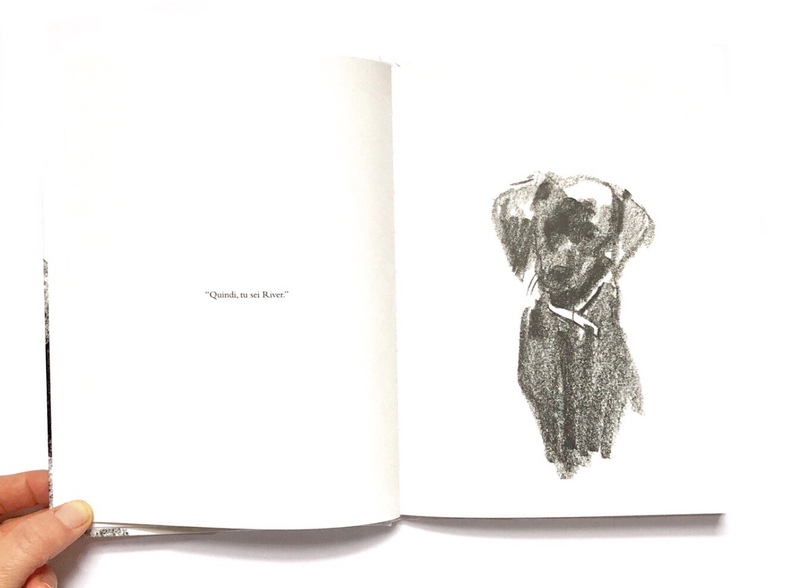 As explained in a note in the book, River was written in memory of the author's much loved dog and to help her children process the loss, but the book will instantly resonate with anyone who had the chance to experience the love for these incredible animals.